The USGS is a bureau of the United States Department of the Interior; it is that department’s sole scientific agency. 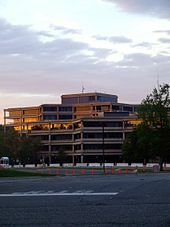 The USGS employs approximately 8,670 people and is headquartered in Reston, Virginia. The USGS also has major offices near Lakewood, Colorado, at the Denver Federal Center, and Menlo Park, California. The USGS also operates the National Wildlife Health Center, whose mission is “to serve the nation and its natural resources by providing sound science and technical support, and to disseminate information to promote science-based decisions affecting wildlife and ecosystem health. The NWHC provides information, technical assistance, research, education, and leadership on national and international wildlife health issues.” It is the agency primarily responsible for surveillance of H5N1 avian influenza outbreaks in the United States. The USGS also runs 17 biological research centers in the United States, including the Patuxent Wildlife Research Center. In 2008 the USGS abandoned traditional methods of surveying, revising, and updating topographic maps based on aerial photography and field checks. Today’s U.S. Topo quadrangle (1:24,000) maps are mass-produced, using automated and semiautomated processes, with cartographic content supplied from the National GIS Database. In the two years from June 2009 to May 2011, the USGS produced nearly 40,000 maps, more than 80 maps per work day. Only about two hours of interactive work are spent on each map, mostly on text placement and final inspection; there are essentially no field checks or field inspections to confirm map details. While much less expensive to compile and produce, the revised digital U.S. topo maps have been criticized for a lack of accuracy and detail in comparison to older generation maps based on aerial photo survey and field checks. As the digital databases were not designed for producing general purpose maps, data integration can be a problem when retrieved from sources with different resolutions and collection dates. Man-made features once recorded by direct field observation are not in any public domain national database, and are frequently omitted from the newest generation digital topo maps, including windmills, mines and mineshafts, water tanks, fence lines, survey marks, parks, recreational trails, buildings, boundaries, pipelines, telephone lines, power transmission lines, and even railroads. Additionally, the digital map’s use of existing software may not properly integrate different feature classes or prioritize and organize text in areas of crowded features, obscuring important geographic details. As a result, some have noted that the U.S. Topo maps currently fall short of traditional topographic map presentation standards achieved in maps drawn from 1945 to 1992. General Interest Publication (GIP): A wide variety of topics covered concisely and clearly in a variety of formats. Focus is on USGS programs, projects, and services and general scientific information of public interest. The series covers a broad range of topics in a variety of media, including pamphlets, postcards, posters, videos, teacher kits, CD/DVDs, bookmarks, and interactive and motion graphics. Previously called “General Interest Publications”. Prompted by a report from the National Academy of Sciences, the USGS was created, by a last-minute amendment, to an act of Congress on March 3, 1879. It was charged with the “classification of the public lands, and examination of the geological structure, mineral resources, and products of the national domain”. This task was driven by the need to inventory the vast lands added to the United States by the Louisiana Purchase in 1803 and the Mexican–American War in 1848. 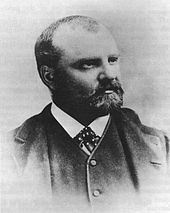 Clarence King, the first director of USGS, assembled the new organization from disparate regional survey agencies. After a short tenure, King was succeeded in the director’s chair by John Wesley Powell. ^ Moody, Joan (October 22, 2009). “Secretary Salazar Applauds Senate’s Confirmation of Dr. Marcia McNutt as Director of the U.S. Geological Survey” (Press release). United States Department of the Interior. Retrieved November 7, 2009. ^ “Monterey Aquarium’s McNutt new USGS Director”. The Seattle Times. Associated Press. October 23, 2009. Retrieved October 25, 2009. ^ “USGS Visual Identity System”. United States Geological Survey. July 27, 2006. Archived from the original on January 30, 2009. Retrieved December 29, 2008. ^ “Start with science”. United States Geological Survey. Retrieved October 3, 2012. ^ “Map of Geographic Areas”. Archived from the original on January 15, 2013. Retrieved December 12, 2012. ^ “USGS Earthquake Hazards Program”. Usgs.gov. Retrieved April 30, 2017. ^ “ANSS – Advanced National Seismic System”. earthquake.usgs.gov. ^ “USGS WaterWatch – Streamflow conditions”. Waterwatch.usgs.gov. Retrieved April 30, 2017. ^ “Welcome to the National Climate Change and Wildlife Science Center – National Climate Change and Wildlife Science Center”. Nccwsc.usgs.gov. Retrieved April 30, 2017. ^ “NCCWSC Web site”. Nccwsc.usgs.gov. Retrieved July 20, 2011. ^ “Home – SHRIMP-RG Lab”. Shrimprg.stanford.edu. Retrieved April 30, 2017. ^ Streamgages, USGS – U.S. Geological Survey Federal Priority. “USGS Federal Priority Streamgages (FPS)”. Water.usgs.gov. Retrieved April 30, 2017. ^ “USGS National Water-Quality Assessment (NAWQA) Program”. Water.usgs.gov. Retrieved April 30, 2017. ^ “Water Resources: USGS Water Data Discovery”. Water.usgs.gov. Retrieved April 30, 2017. ^ “National Wildlife Health Center”. Nwhc.usgs.gov. Retrieved December 27, 2007. ^ a b c Missouri, USGS Rolla. 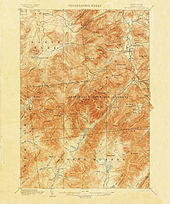 “USGS – Topographic Maps”. Topomaps.usgs.gov. Archived from the original on April 12, 2009. Retrieved April 30, 2017. ^ “USGS Maps Booklet”. erg.usgs.gov. Retrieved 2017-04-30. ^ Moore, Larry (December 2000). “The U.S. Geological Survey’s Revision Program for 7.5-Minute Topographic Maps” (PDF). United States Geological Survey. ^ “topoView – USGS”. USGS Topoview. ^ a b c d e f g h i Moore, Larry (May 16, 2011). “US Topo: A New National Map Series”. Directions Magazine. Retrieved April 18, 2012. ^ USGS. “History of the HIF”. United States Geological Survey. Retrieved October 9, 2015. ^ “USGS Publications Series”. Division of Geological and Geophysical Services. Alaska Department of Natural Resources. 2010. ^ “USGS Store”. United States Geological Survey. May 17, 2012. Retrieved February 5, 2014. ^ Ivan Suftin; David Sibley; James Kreft. “USGS Publications Warehouse”. United States Geological Survey. Retrieved February 5, 2014. ^ “Establishment of the U.S. Geological Survey, USGS Circular 1050”. United States Geological Survey. Retrieved February 5, 2014. Eilperin, Juliet (December 14, 2006). “USGS Scientists Object To Stricter Review Rules”. The Washington Post. Retrieved December 27, 2007. Erickson, Jim (December 14, 2006). “USGS to review scientists’ studies prior to publication”. Rocky Mountain News. Archived from the original on January 8, 2008. Retrieved December 27, 2007. Heilprin, John (December 13, 2006). “USGS scientists worry about being muzzled”. MSNBC. Associated Press. Retrieved December 27, 2007. “500.5 – News Release and Media Relations Policy”. United States Geological Survey. August 19, 2002. Retrieved December 27, 2007. “502.4 – Fundamental Science Practices: Review, Approval, and Release of Information Products”. United States Geological Survey. September 20, 2006. Retrieved December 27, 2007.